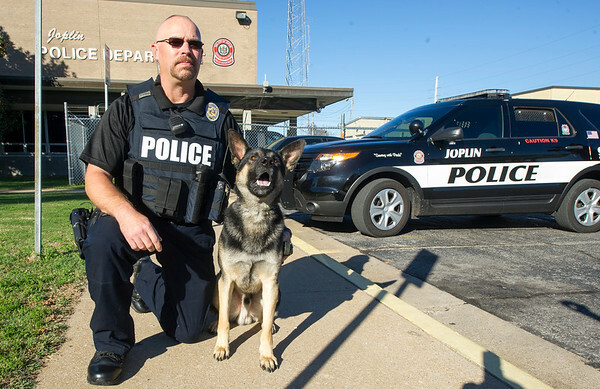 Joplin Police Officer Randy Black kneels beside his new partner, "Fighter," the department's newest K-9 officer. The two-year-old German Shepard from Poland has logged 400 hours of training with Black and will continue training with his handler for the rest of his career. "Fighter" is trained in explosives detection, suspect apprehension and search and tracking.